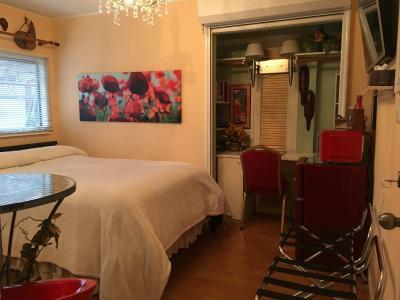 Lock in a great price for Diana's Luxury Bed and Breakfast – rated 8.5 by recent guests! Hostess Diana is wonderfully personable, gracious, and welcoming. The B&B sparkles with cleanliness. Breakfasts were delightful and wholesome. We felt comfortably at home, surrounded by luxurious touches. Besides excellent accommodation, It was Diana herself who made it fantastic. She is incredible and went over and beyond anything we expected. Diana was very hospitable and welcoming, and her house is very clean, artistic, and comfortable. She also recommended a very nice restaurant with a stunning view near the B&B. We had a great experience. Diana was wonderful and helpful, a really top notch hostess. Very beautiful place; sparkling clean; peaceful, comfortable and quiet. We met guests from Israel, France and US- a real treat for us. Diana was extremely helpful in planning our days there. 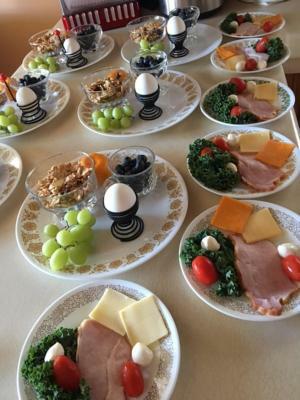 Breakfast was always very well done. The place is bright and cheerful with many wonderful pieces of art. A real treasure. The bed was very comfortable and the black-out roller shades made it very easy to sleep. It felt like home. Comfortable The owner was great made you feel welcome. It’s location was very accessible. The house was lovely with a European charm. The host was helpful and friendly. Breakfast was substantial. The room was very clean and comfortable with some extras. Beautiful garden you could admire from balconies. Diana's Luxury Bed and Breakfast This rating is a reflection of how the property compares to the industry standard when it comes to price, facilities and services available. It's based on a self-evaluation by the property. Use this rating to help choose your stay! One of our best sellers in Vancouver! 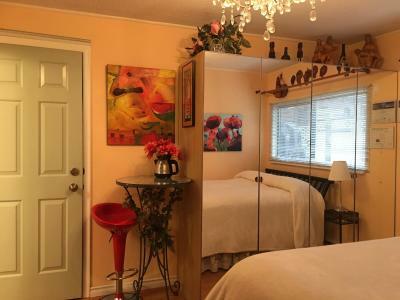 This quaint guest house is within 10 minutes' drive of downtown Vancouver. Each nonsmoking guest room offers free WiFi and a telephone. All rooms feature a private bathroom, mini-fridge and TV. 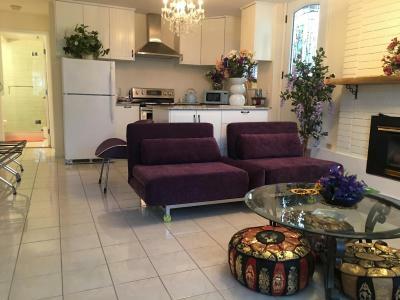 Guests have access to a shared kitchen and living room area where they can relax. Diana's Luxury Bed & Breakfast features a breakfast to go with fresh coffee/tea, a muffin and fruit. Guests can enjoy the landscaped garden and mountain views. Free on-site parking is also available. 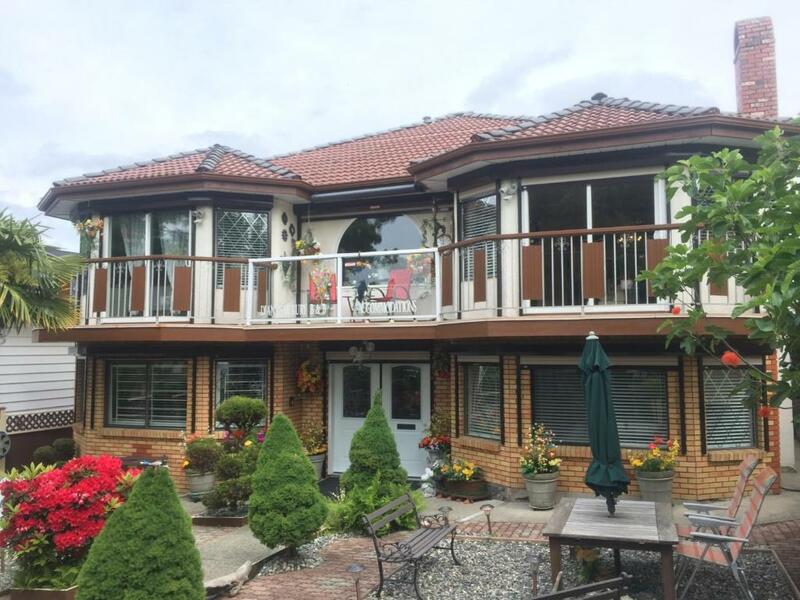 Vancouver International Airport is 15 minutes' drive from Diana's Bed & Breakfast. Queen Elizabeth Park is 1.2 mi away. 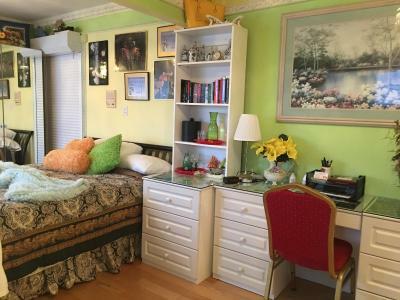 When would you like to stay at Diana's Luxury Bed and Breakfast? 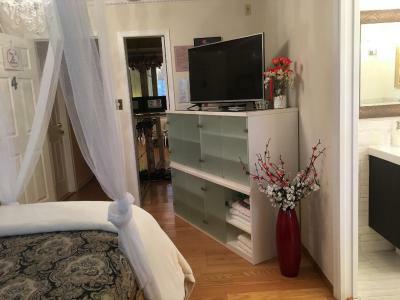 Located on the street level, this room offers a TV with Netflix, mini-refrigerator, and private bathroom with a bathtub, shower, and hair dryer. The room is quiet small. An iron and ironing board are available. Free WiFi is available. 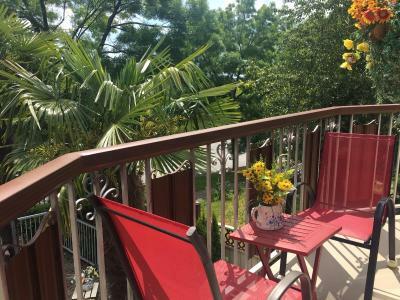 Featuring a furnished balcony, this room offers a cable TV, refrigerator, microwave, and a view of the mountains. An additional room is available. 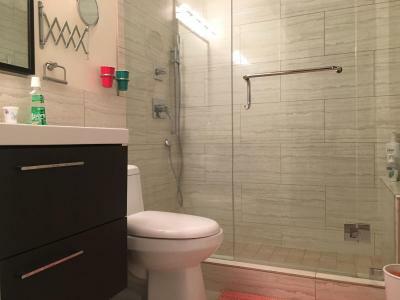 Two private bathrooms are provided, one is an ensuite and the other is in the living space. This room offers a TV with Netflix, mini-refrigerator, and private bathroom with a bathtub, shower, and hair dryer. An iron and ironing board are available. Free WiFi is available. A south-facing furnished balcony offers a view of the garden. 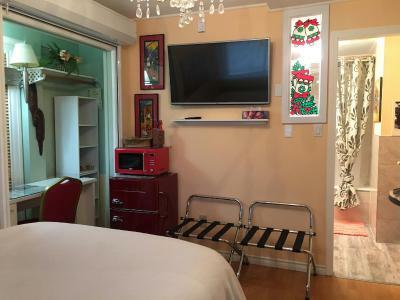 This room offers a TV with Netflix, mini-refrigerator, and private bathroom with a shower, and hair dryer. The room is quiet small. An iron and ironing board are available. Free WiFi is available. this room offers a TV with Netflix, mini-refrigerator, and private bathroom with a jet spa bath, shower, and hair dryer. The room is quiet small. An iron and ironing board are available. Free WiFi is available. This guestroom is decorated with wall murals, paintings, and stars on the ceiling. 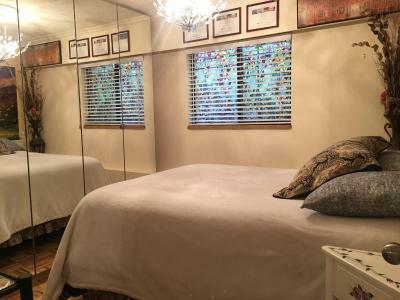 House Rules Diana's Luxury Bed and Breakfast takes special requests – add in the next step! All adults are charged CAD 25 per person per night when using existing beds. Diana&#39;s Luxury Bed and Breakfast accepts these cards and reserves the right to temporarily hold an amount prior to arrival. Diana's Luxury Bed and Breakfast accepts these cards and reserves the right to temporarily hold an amount prior to arrival. Upon check-in photo identification and credit card is required. If proper identification cannot be provided, the host has the right to deny check-in. All special requests are subject to availability upon check-in. Special requests cannot be guaranteed and may incur additional charges. Please note, guests paying by credit cards will be charged an extra 2%. Please note breakfast will not be not served from April 2019 through 18 October 2019. Contact property for details. Booking.com booked us in during the off-season when the B&B is normally closed. Fortunately for us, we were accommodated with grace and welcoming arms. Great place! Diana is like a wonderful mom, making sure all her babies are well taking care off. She provides a great breakfast every morning and tells you where to go and how to get there. The room I was in was very spacious and very clean. The location is a bit out of the way, but there are plenty buses nearby to take you downtown. Would definitely stay there again, given the chance. Room and especially shower was small. Personal welcome by Diana and very clean. Shower was short and narrow. Bed mattress was bigger than bed frame and thus, uncomfortable. Breakfast was offered with fixed items like hard boiled egg that did not match my taste. Watching movies via Netflix was not possible due to slow streaming. First of all “Luxury” should have no place in the name of this Bed and Breakfast! 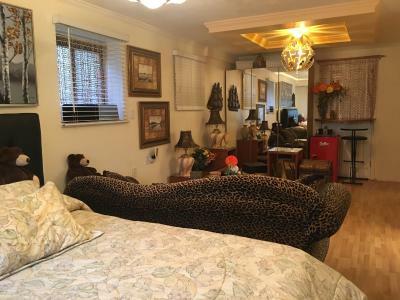 This B&B is in a neighborhood that I would not recommend. It is far away from everything and I was concerned about leaving my car on the street, which is the only parking available. As we walked up to the front door the first thing we saw was a mass of cheap plastic floors in the yard, our first hint as to the level of “Luxury” at this establishment. Then as we were greeted at the front door the plastic flowers continued on the interior of the house. We were then shown to our rooms, of which we booked two. The first was the “Double room with garden view” the view was again plastic flowers. Once in the room there was no place to sit, except for the bed. The bedding of which was way past time to change and looked thread bear and out dated. 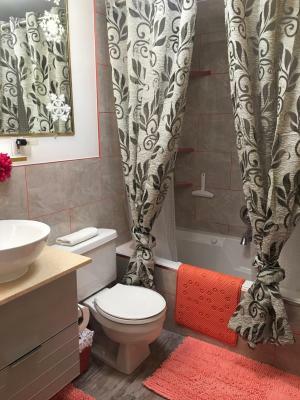 The next was a bath in which you could’t walk into if anyone was on the toilet as the extremely small sink was located directly in front of, and the shower, which was more for the size of a small child, was directly adjacent to the toilet and sink. Finally there was the closet which had slippers, not in plastic bags, which we would not even put our feet into. The next room we were shown was the “Queen Room”, which was larger but still no place to sit. It also had all of the problems of the smaller room, except that you could at least turn around hi the bath without bumping into something!! Next we were shown the second floor breakfast room, again more plastic flowers. Nothing good to be said about this area either. We were then taken down stairs again where the owner, in condescending language, instructed us in the intricacies of locking and unlocking the front door. I can definitely see the need for secure locks in the neighborhood where the B&B is located. Very poor considerations were given in the way we were talked to. The decorations are to much and outdated. One toilet did not work properly. Do not disturb! What does that mean? When getting back to room we always had fresh towels and treats that’s nice but again DOE NOT DISTURB. The room was very small....cramped getting in/out of the bed. For the price, I thought the breakfast would include freshly cooked hot foods. Mostly fruit, bread, cereal, hard boiled eggs.